The right hand side bar could use some improvements I agree. The biggest issue is that when you have a lot of ships the icons go all weird and you can't tell ships apart anymore and you only see bars. I am sure we all know what I am talking about. I would also support any improvements made to make the bar clearer to read, at the moment the notifications there do not really stand out. And I'm only talking about functionality. With style everything is very bad - it just does not exist. seems like you could offset the red icon with yellow receding as the duration expires and have the best of both worlds. 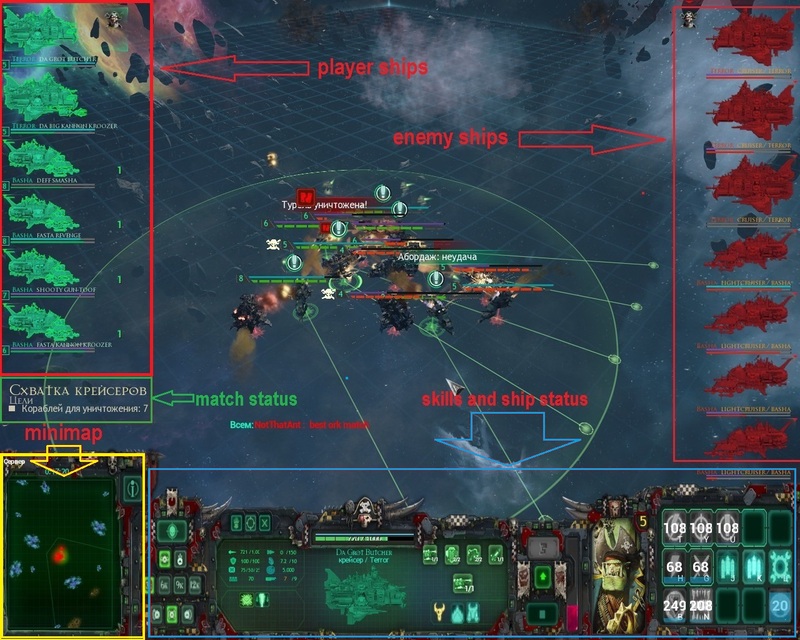 it becomes clear that the main gain in screen ui cleaning is achieved by removing panel with enemy ships and minimap decline which is obvious ... straightforward solution. 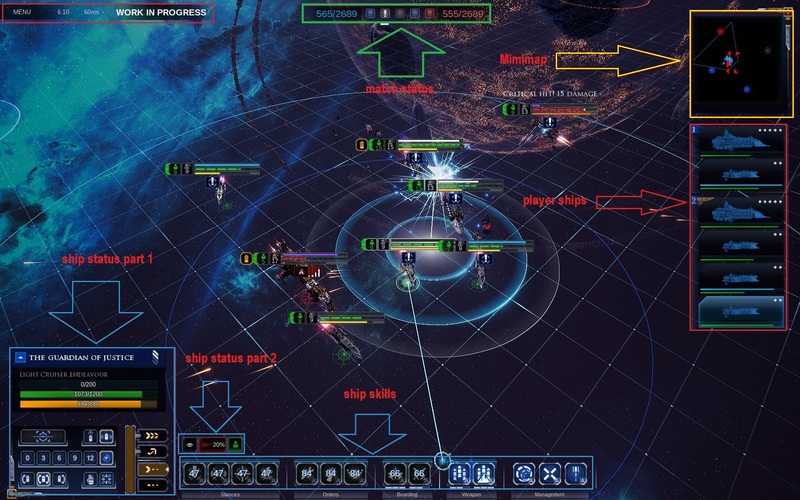 the ship skill bar is a big UI improvement compared to the first game. 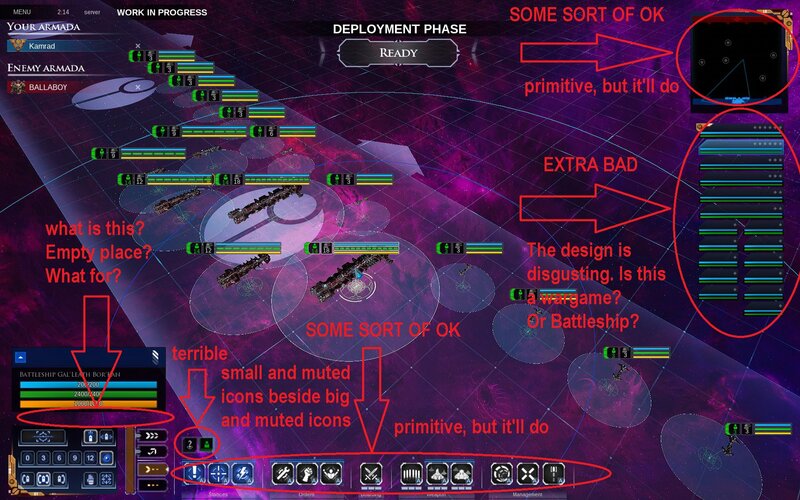 the same is true for the decision to have a trigger to minimize/enlarge ship details. style is something extremly subjective. for example I think the UI from the first game looks pretty dated compared to the second. 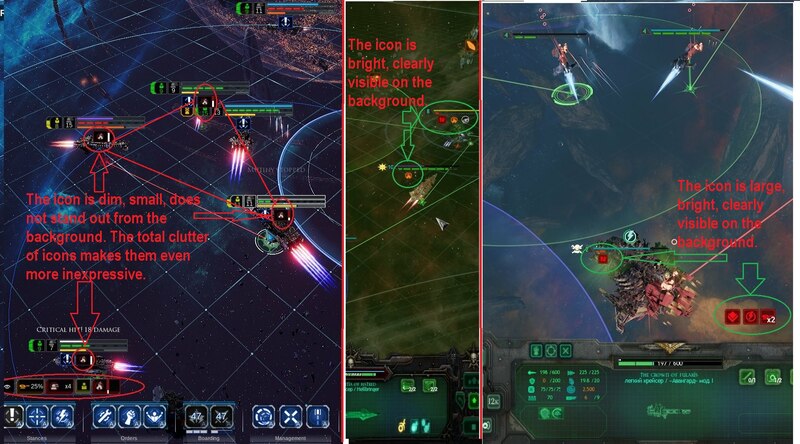 Also, the new UI is in line with the UI of most current strategy and tactics games. like Steel Division, the Wargame series and Total War, where the mini map is in the upper right corner and the units stats in downward left corner, with skills down in the center. I like it much more than the older UI. To each their own, I suppose, but I find the newer UI absolutely brutal compared to before. I'm sure part of that is due to familiarity with the previous game, but a lot of it is because of how obfuscated everything is on the new one. I feel like I need to click in to everything to get any data.